Prominent & Leading Manufacturer from Mumbai, we offer stainless steel pipes, stainless steel square pipe, ms pipe, stainless steel sign boards and 304 stainless steel pipe. The Stainless Steel Pipes offered by us are available in varieties like, seamless pipes and welded pipes and they are used in varied applications inclusive of corrosive fluids. We also provide pipes according to the technology like, ERW pipes. The stainless steel pipe's application field is vast and is used for many purposes like, sewage and water industry, constructions, food industry, petrochemical industry, pharmaceutical industry, municipal, automotive industry and decorative purposes. Stainless steel finds an extensive application in corrosive fluid industries and are used to transport liquids or gases. These pipes have a long shelf life. The sintered seamless stainless steel pipes are useful as heat exchanging tubes and piping to which sea water or industrial water is fed. 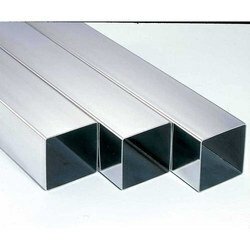 Exclusive Stainless Steel Square Pipe 304 that can withstand high temperature and pressure. This is popular in chemical industries and steam plants. Our diverse product range reflects an ever changing and demanding market place emphasisng our commitment to satisfying all aspects of our customers requirements. We Keddy Concept introduce ourselves as the prominent manufacturer, trader, exporter and supplier of a comprehensive range of pipe, plate, sheets, flanges, steel pipes, dairy fittings and buttweld fittings. 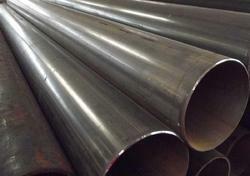 Mild Steel (MS) pipes are manufactured using low carbon (less than 0.25%) steel. Due to low carbon content the pipes do not harden and are easy to use. As MS Pipes are made from mild steel they can easily be welded and formed in various shapes and sizes for pipelining and tubing purposes. These are generally used for drinking water supply i.e. Plumbing, Firefighting, HVAC but can also be used in various other Industrial and Engineering applications. These pipes are usually coated with other metals/paints/varnish etc to prevent it from rusting but extra care should be taken to prevent it under extreme conditions. We are one of the prominent manufacturers and suppliers of a quality range of stainless steel sign boards. As these sign boards are made of high grade stainless steel, which make them resistant to corrosion and exhibit durable finish standards. 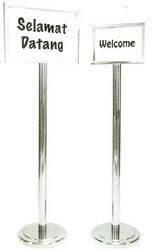 We design these name plates as per the requirements of the customers. With the support of our knowledgeable experts, we are able to supply and trade an extensive array of 304 Stainless Steel Pipe. These pipes are used for transferring liquid and other fluids to several industries. The provided pipes are efficiently manufactured using the superior quality stainless steel with the aid of pioneering methodology. 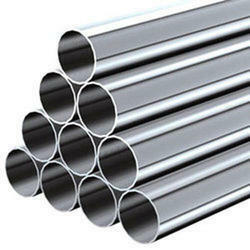 These pipes can be easily obtained from us at cost effective rates.